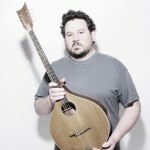 Guitarist and bouzouki player Seán Earnest’s empathetic and eclectic musical stylings have taken him far from his native central Pennsylvania. He is among the most sought-after American Celtic musicians today and can be heard on stages throughout North America and beyond. Having cut his musical teeth in the Irish music sessions of New York and Baltimore, Seán honed his guitar and bouzouki craft while studying at the University of Limerick’s Irish World Academy of Music & Dance. Seán has been a faculty instructor for the Catskills Irish Arts Week, the O’Flaherty Irish Music Retreat in Texas, the Milwaukee Irish Fest Center, as well as the Celtic College at the Celtic Roots Festival in Goderich, Ontario, and will join the staff for the 2016 Augusta Irish Week in Elkins, West Virginia. Seán has performed with many of Irish music’s luminaries including John Carty, Billy McComiskey, Brian Conway, Kevin Burke, Damien Connolly, Dr. Mick Moloney, Joanie Madden, Kevin Crawford, Oisín Mac Diarmada, and many others. As an accompanist, he has worked with a number of vocalists including Cathie Ryan, Seamus Begley, Colleen Raney, The Murphy Beds (comprised of Eamon O’Leary and Jefferson Hamer), Kyle Carey, as well as the international touring troupe Women of Ireland. 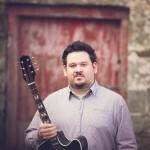 He features on recordings by Clare accordion and fiddle player Damien Connolly as well as Baltimore flautist Laura Byrne. 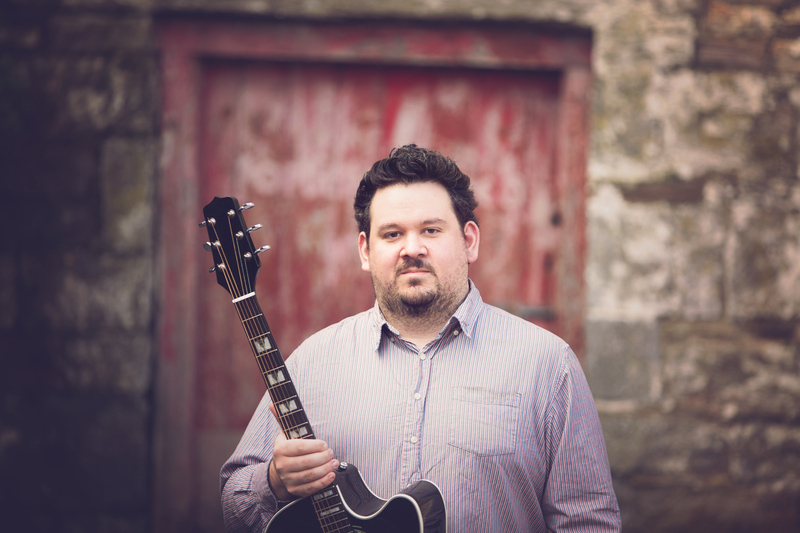 Seán tours regularly throughout North America and beyond with the Irish group Téada, the Paul McKenna Band from Glasgow, and his own band The Yanks, with whom he has toured Ireland and released two albums to great critical acclaim. He is a stalwart of the NYC session scene and resides with his partner, sean-nós dancer Siobhán Butler, in Rosendale, New York. DADGAD Tuning & Bouzouki AccompanimentIn this immersive course, students will acquire valuable critical thinking skills as well as pragmatic techniques enabling them to arrange tasteful accompaniment to Irish traditional dance music & song. An extensive sampling of the dance forms common to Irish traditional m usic will be covered, in addition to several songs for the more lyrically-inclined. A comprehensive approach will involve distilling the subject down to its two core essentials – strummed rhythmic accompaniment and harmonic counterpoint. Class will be conducted with use of the plectrum, although those favoring a fingerstyle approach are free to do what comes naturally for them. Prospective students should be familiar with fundamental guitar concepts and ideally with DADGAD tuning. While this programme is tailored to players of the acoustic guitar in DADGAD tuning, the concepts are transferable to the bouzouki in GDAD tuning. Those who favor Standard or other alternate tunings such as Dropped D are welcome to customize their experience by auditing the class academically and extrapolating the theory to their own playing on their own time. Emphasis will be given to both the theoretical (which chords and techniques are suitable where, and why) as well as the practical (how to execute technique) aspects of style. Particular attention will be given to transposition of basic first position chords to other fretboard zones through the use of the capo, yielding a full arsenal of timbres and tones at the player’s disposal. The goal of the week’s work is to produce students capable of exercising their own innate creativity. This is achieved through technical mastery as well as an honest evaluation of the philosophical implications of accompaniment, e.g. the role of accompaniment in Irish traditional music, whether or not there is objective ground within the medium, what is meant by the term “traditional”, etc. By week’s end the student will have been presented with the tools and confronted with the questions with which to assert his or her own voice, the intended result being always to broaden one’s perspective and increase awareness. Students should come prepared with their preferred plectrum(s), writing materials, and an audio recording device if desired. The use of a capo will allow players to utilize their instruments’ full dynamic potential. Multimedia resources may be available but students are encouraged to actively transcribe all material themselves.